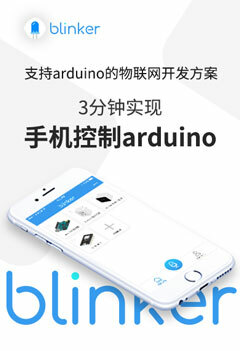 求助，编译问题！-Arduino中文社区 - Powered by Discuz! Arduino:1.8.5 (Windows 7), 开发板："WeMos D1 R1, 80 MHz, Flash, Enabled, 4M (no SPIFFS), v2 Lower Memory, Disabled, None, Only Sketch, 921600"
* Blinker is a cross-hardware, cross-platform solution for the IoT. * and uses public cloud services for data transmission and storage. * to help users build Internet of Things projects better and faster. * if use ESP8266 with Blinker.